Credit card rewards can seem overly cumbersome and complex, so much so that many consumers don't even bother trying to earn them. It takes a lot of work to figure out which rewards or cashback credit card would meet your needs in the first place, and even then, you still have to figure out how to use your rewards. If you try to juggle too many cards or loyalty programs at once, you can easily find yourself overwhelmed — or worse — letting your points go to waste. If your goal is maximizing credit card rewards, but you don't really want to put in the leg work, there are several ways to make the process much more organized. 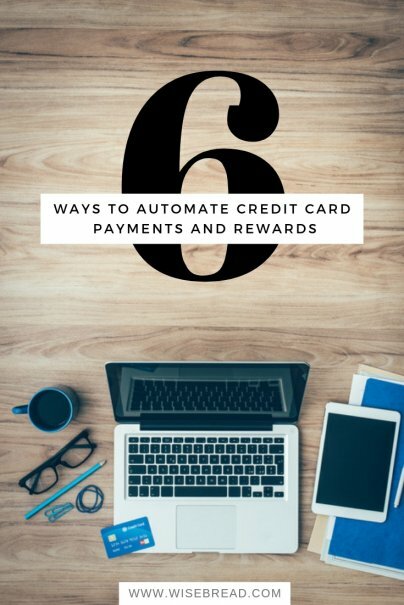 Here are six ways to automate your credit card rewards and monthly payments. The AwardWallet app is an online tracking service that helps you manage your airline miles, hotel points, and flexible travel points. You can join the service for free and all you have to do is add your current award accounts to get started. From there, AwardWallet will track and monitor your rewards programs and itineraries. This includes notifying you if your points are about to expire or if your point balances have changed for any reason. The AwardWallet app claims to be tracking over 1.3 billion points and miles across over 670 loyalty programs. Points.com works similarly to AwardWallet in that it promises to track your points and miles from various rewards programs for free. However, this service also lets you cash in your points and miles for gift cards for shopping or dining. Joining Points.com is free, and it can simplify your life by letting you watch all of your loyalty accounts in one place. Once you sign up, you'll have one password and login for your programs, which is much simpler than keeping track of multiple logins and having to log in and out each time you want to see an account balance. Reward Summit is another tool that tracks your points and miles. But this service focuses on the front-end of your transactions instead of helping you track rewards after you've earned them. Here's how it works: Sign up for Reward Summit and connect your credit cards to your account. From there, the Reward Summit app will help you choose the right card for each purchase you make based on which one offers the most rewards. You can also use the app to search for nearby merchants who may dole out category bonuses you aren't sure how to maximize. Finally, you'll receive detailed reports that show how you're maximizing your rewards credit cards compared to other Reward Summit users. If you're someone who gets tired of figuring out which of your cards would be best for individual purchases, this app is for you. 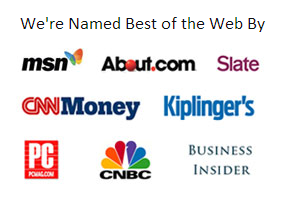 Best of all, it's free to sign up and seamless to use. Maybe you're not overly worried about losing track of your points and miles, but you are worried about getting into credit card debt. In that case, it makes a lot of sense to automate your credit card payments to ensure you are never late and never wind up carrying a balance. Fortunately, most banks will let you set up automatic payments on or before your due date. While this strategy can take some getting use to, automating your credit card payments can help you avoid debt no matter what. Another strategy to consider if you're leery of overspending is using rewards cards only for recurring expenses you can automate on both ends. This means you would set certain bills to be paid automatically — like utilities, cable bills, phone bills, and insurance. On the other end of the spectrum, you would set up automatic payments with your bank so these bills would be paid automatically by their due date. The benefit of this strategy is threefold; not only are you paying bills with credit you were going to pay anyway, but you're having your bill paid automatically and earning rewards in the process. This strategy is easy to set and forget, and it will help you avoid overspending on regular purchases. Another way to automate your credit card purchases and payments while avoiding debt is to sign up for a service called Debitize. This service offers "credit card perks without credit card debt," and actually pays your credit card bills for you straight out of your checking account. The best part about the service is that it's free. After opening an account, all you have to do is link your credit card accounts with your checking account. From there, you'll use your credit cards as usual and let Debitize make regular withdrawals to cover your charges over time. The fact this is all automated means you get to earn rewards and take advantage of credit card perks like guaranteed returns, extended warranties, trip cancellation/interruption insurance, and travel accident insurance without worrying about credit card bills. Since the amount you spend will be withdrawn from your checking account regularly, you'll feel like you're using debit.